The benefits of diesel engines seem obvious – plenty of torque, lower tax bands and impressive economy are the order of the day. However as petrol engines improve and diesel running costs grow, diesel is turning into something of a false economy. These diesel models don’t make much sense unless you’re a seriously high-mileage driver or you're choosing a company car. The A3 is a fine car regardless of engine and the TDI is very easy to recommend – but do some maths and it isn’t such a wise choice. 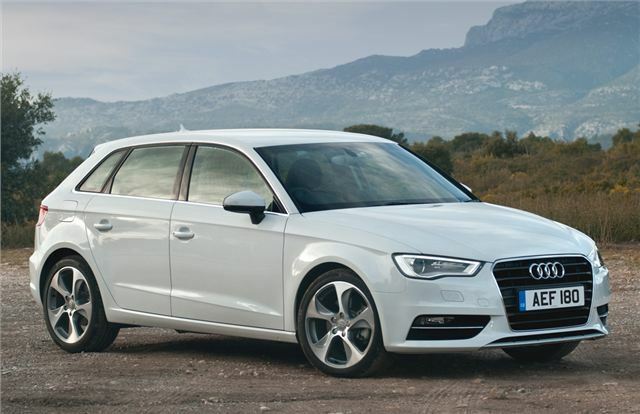 The A3 Sportback 1.6 TDI S line costs £2250 more than the same model with a 1.2 TFSI petrol engine. The diesel is more efficient, but a driver covering 10,000 miles per year will only save £232 annually – meaning it will take almost ten years to pay off the premium for picking the TDI engine. I'd like to see comparisons at 3 years old, where a lot of used cars are bought. The calculations for the second-hand buyer could be very different. Very few of the diesel / Petrol comparisons even mention the question of emissions. Cities all over the world are thinking of banning disels to try to reduce the appalling pollution problems they face. Just try flying into Barcelona or Bordeaux on a summer's day. Also if we had a fuel tax system that taxed fuel on thermal values and total emissions - things would be very different. The VED / fuel tax system we have in the UK is barmy in the extreme and set to get worse. German cars petrol or diesel are sold with the mythology of years gone by. German cars are now simply overpriced stripped out boxes sold to the gullible middle class who then sell them on to the barbarians who dwell in British inner cities. More journalistic BS/hogwash A as not like for like 1.6 diesel v 1.2 petrol. B how about cost of petrol! Lambda sensors/coil packs/spark plugs/exhausts/crank sensors and a whole list more! C plugging your petrol into a pc just to empty the ashtray which if a ford won't have a clue what the code says so will take you on a never ending round of fault finding which will then end up with you selling the car yes know others that have been that route. ive a 2.0 litre HDI ave 60mpg up hill and down dale @30/40 getting 60's tell me one petrol that can get anywhere near that unless one of those things so small totally unpractical to own as part of running a car is to have it for a use like family or towing a trailer/caravan/boat or things like fishing/cycling etc so need more room. I live in london(worst luck) but rarely ever drive in it unless need to pick something big up but use it for outside journeys 70 plus miles. Due to the diesel gate my new car is a petrol it now puts out 25% more Co2 than the equivalent diesel I was going to buy. So global warming here we come. Also recently on the news an article on wood burning stoves by scientists showed that one wood burning stove produced as many particles as 1000 cars. Finally where are we going to get all the electricity to run millions of cars, we need more nuclear power stations. Also the price of electricity will it be going up or down, no need to answer that. In America the ratio of petrol to diesel cars is very low so what is causing the pollution in major cities like San Francisco and Los Angeles.